I've been in the mood to shoot during blue hour lately. There is just something about that time right after sunset that allows for play in so many ways— switching up shutter speeds and accessing a whole different color palette. 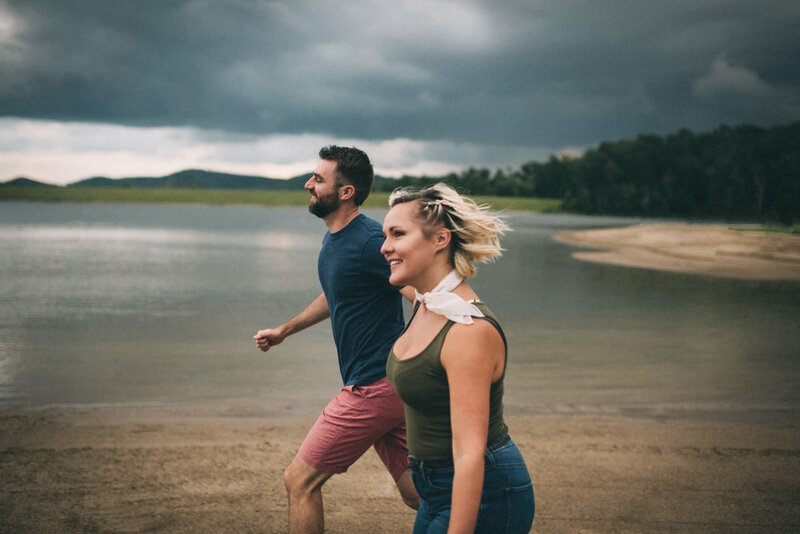 For this session, we got the most gorgeous golden hour complete with a light rainstorm, a small rainbow, and a stunning sunset— as well as an interesting blue hour as well. Abby and Schyler have been together as long as I can remember. I first photographed them dancing at my senior prom. Over the years, I've loved watching their big milestones online— including seven years of marriage and two sweet children. They've had so many amazing big moments together and have supported each other through some really hard times too. 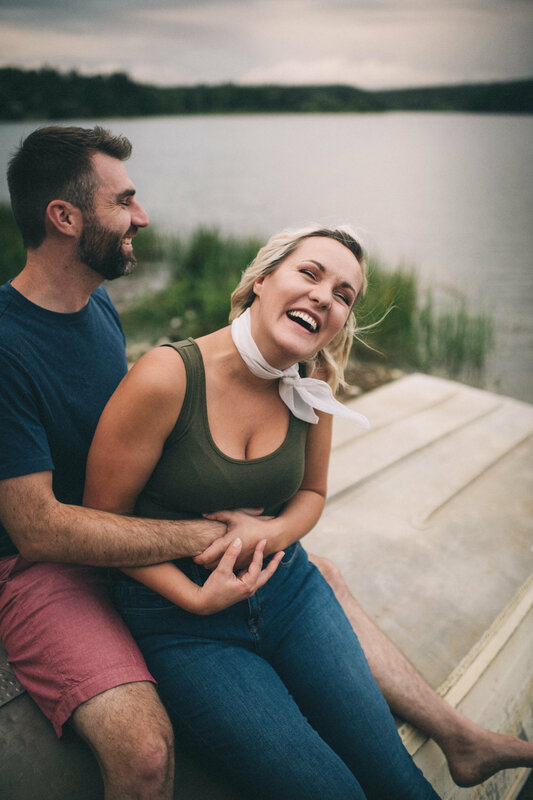 Despite all the years, as they played together and goofed off during our session they were giving off some serious newlywed vibes. It's obvious that they are just as in love now as they were ten years ago. Abby made me cry, when the morning after the session she wrote me, "Thanks again so much for last night. For us, it was more than just a photo session. It was nice to be a little more carefree and focus on each other. We got to reconnect in a way and play around like we were young again thanks to you. You are so amazing at what you do and you made us feel super comfortable all while having fun. Thank you so much." 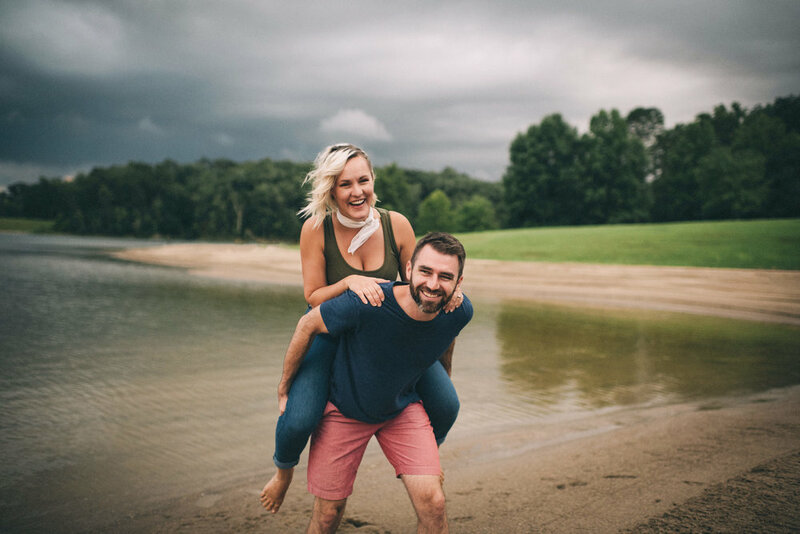 I love anniversary sessions so much, in case you do too check out Chris & Cassie's Chicago conservatory session or Alex & Collin's in-home session.